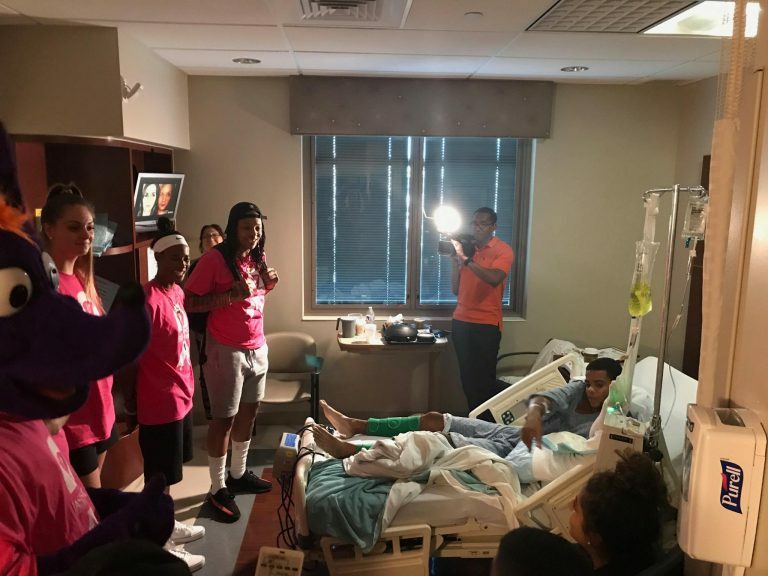 Phoenix Mercury players Emma Cannon, Yvonne Turner, Cayla George and Stephanie Talbot made a surprise appearance on Aug. 1 at Mountain Vista Medical Center, at 3:30 p.m. While visiting with patients, the Mercury players signed autographs, posed for pictures and passed out Mercury goodies. 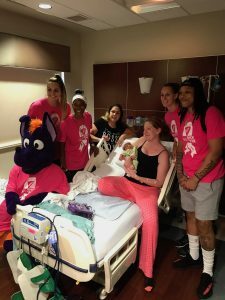 The players made the surprise visit in advance of the Mercury’s “Rock the Pink” game, an annual initiative designed to raise breast health awareness among Valley residents. 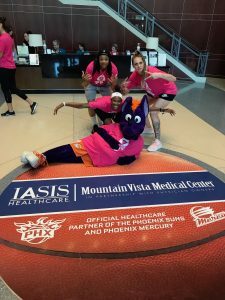 The game takes place on Saturday, Aug. 12, when the team hosts the Seattle Storm at Talking Stick Resort Arena.